Camp Minsi will be holding an informational leaders' meeting and luncheon on Saturday, June 19, 2010. The gathering, which will include a complimentary lunch, will start in the Dining Hall at 12:00PM (noon). The purpose of the meeting is to share important information with unit leaders regarding their Troop's week at camp. The meeting gives leaders a chance to ask any questions they may have regarding camp, a place to connect with other leaders, an outlet to give feedback, and an opportunity meet some of our key staff members. Unit leaders are strongly encouraged to attend this meeting. It is important that your unit is represented, so you are prepared for your week at camp with all the latest information. Scoutmasters, Assistant Scoutmasters, Summer Camp Coordinators, and Senior Patrol Leaders are all welcome. We recommend that you prepare a list of any questions that you or your unit may have regarding camp, so that we can be sure to address them all at the meeting. If you are unable to attend, please contact the Camp Director, Lisa Empfield (CampMinsiCD@yahoo.com), so we can distribute any vital information and answer any questions. You are invited to come to camp as early as 10:00AM to take a look around camp. This is a great opportunity to check out your camp site, preview the program areas and facilities, or just enjoy the beauty of the Poconos. 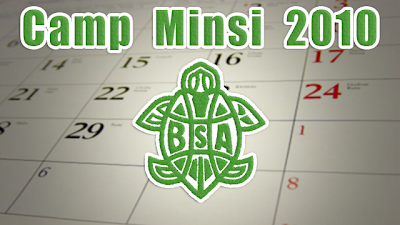 If you are new to Camp Minsi, you are also invited to remain after the meeting for a tour of the camp. The Council's Field & Camping Secretary, Jane Chase, will be at camp to settle up any last minute registration or financial transactions for your unit.